Not very often will you find an anime that is brave enough to deviate from the standard structures of Openings and Endings. In almost every case the two are a minute and a half in length, so when Kimi ni Todoke presented their ending at a length of one minute and ten seconds, I was intrigued. Now, you may have notice that the video I link below is longer than one minute and ten seconds, and there is a good reason for this. The creators of Kimi ni Todoke did not run out of budget, or simply forget to add 20 extra seconds to the ending animation, but instead, they use the exempted time to deliver the closing scene with a hard hitting punch. Before the ending is played, there is always a 20 to 30 second buildup that consists of a heartfelt moment in the story and the insertion of emotional background music. Then BAM, the ending barges in. Aside from the unique setup, I chose this ending for a couple of other reasons too. The pastel drawings are undeniably beautiful and tell a miniature story of their own, while the impact of the chorus is shiver inducing and plays along well with the visuals. 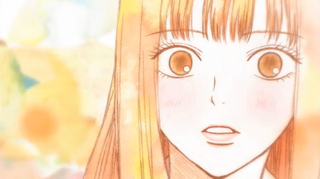 And finally, Kimi ni Todoke was the first shoujo anime I partook in, so it gained sentimental for me from the get-go. Also, join us soon for the first vote of the year where we decide which OP/ED was the best so far. More information coming soon!